New year has started off with some great changes over at our Forums. We have decided to renovate one of the main sections, that being the Virtual Trucking Company (VTC) section. Not only was this changed for the English section, but also sections such as, but not limited to Polish, German, Turkish, French and Russian. We try to encourage you to come over to our forum with your VTC posts, therefore we made sure less active sections such as Georgian, Danish, Ukrainian or Balkan had also been refurbished. New requirements, new perks and clean section! All of it has been achieved. 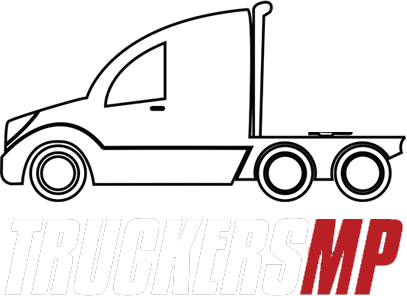 Are you part of a Virtual trucking company however have not yet decided to join us on the forum? Make sure you check out one of the 36 Langauge sections and get your company name out there! One of the perks is the ability to gain a 'VTC' rank over at our public Discord, Simply head over to #bot-commands and gain the access. Not only does that give you a fancy coloured rank, but also access to an exclusive channel and ability to chat with truckers from all around the world! Well good one to VTCs. This make that there are more and more options to choose. Thank you for thinking and doing better things that VTC's deserve. This is great, Kap! Keep up the amazing updates. By the way, you have created two channels for virtual trucking companies most likely accidentally, on discord. Who should post ads? Creator of company or anyone? Come again? Are you sure you posted this in the right forums? I see no sub-forum dedicated to virtual trucking companies, must be an exclusive LKw thing or only accessible for select users? i think that was a nice move from Tmp to renovate the VTC section and is good to see that the forum get's impoves. Keep it up Tmp keep up the good working !